As hard as I try I can’t break out of my comfort zone. Whenever I find myself in a beautiful location which is full of colour, my instinctive monochromatic mind gets the better of me. As I explore the autumnal woodland of Arne Nature Reserve, near Wareham in Dorset I have a perfectly acceptable colour subject in front of me but in visualising and later processing the image I soon strip away all the colour, and work on a black and white conversion, and here is the result. 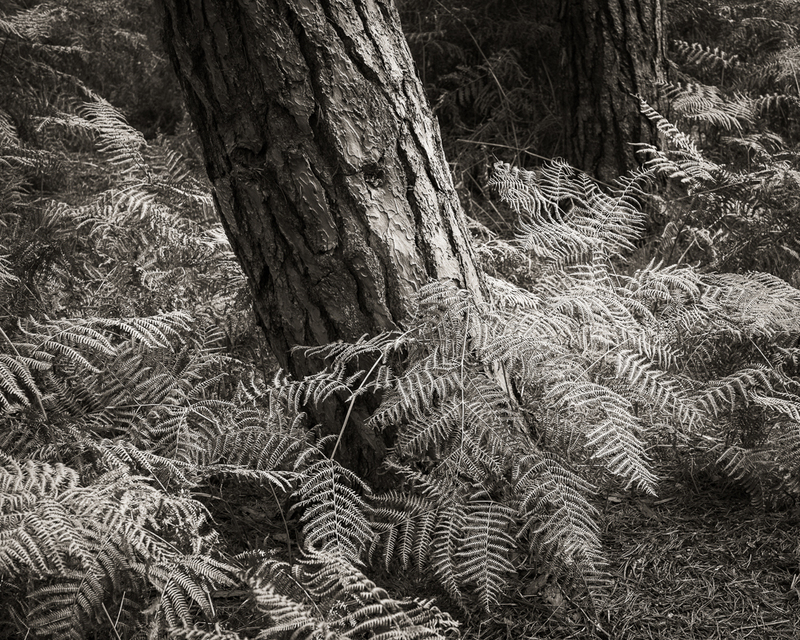 A shot of ‘Bracken’ in amongst conifers. I am not colour blind but I do seem to see the world in black and white and of course all the shades of grey in between. I am drawn to a pleasing composition, shapes and lines, strong textures and different tones. I believe my creativity improves once the distraction of colour is removed from the frame. I start to see things more clearly and whilst you cannot tell by looking at an image on a screen, a well printed black and white image on a suitable photographic paper is hard to beat. Do click on the image to view a larger version and truly appreciate the level of detail in this shot. 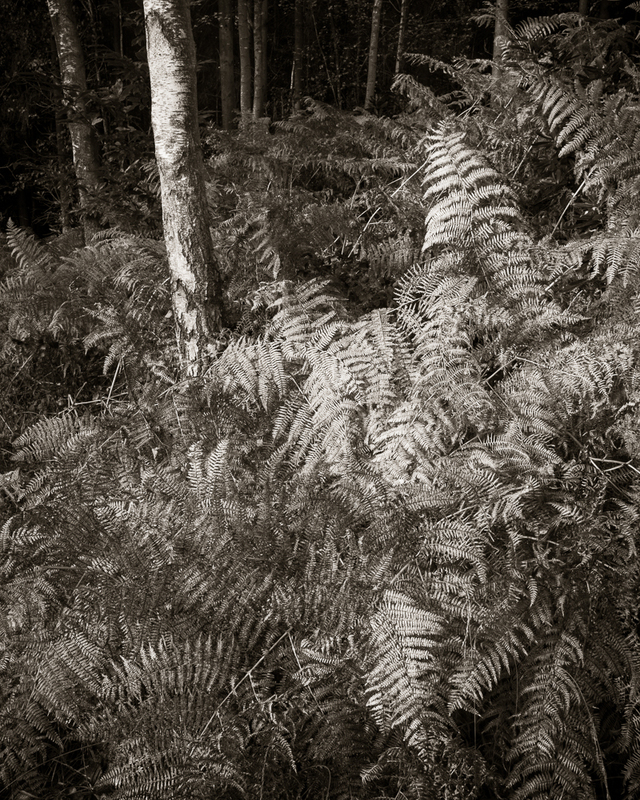 I have said it before (maybe to you, not sure), but on my blog, and in talks, that once you have fallen in love with the B&W medium that passion never goes away. We see the world differently and simplified. For a while, way back in the 80s, I tried carrying a pair of Nikkormats everywhere I went, one loaded with FP4, the other with Kodachrome. It really played with my head, it didn’t work and I abandoned the idea. I have learnt to shoot in colour in the digital era but I believe subconsciously I still see images with all the attributes – line, form, contrast – that are what I always looked for when armed with B&W film. I probably convert about a third of my favourite captures to B&W. We clearly have the same mindset. Until the early part of 2012 I had not even considered b&w, and some 5 years later here I am still seeing the world in mono. From what you have said it looks like things will stay that way too.